Voice picking solutions are used by retail, distribution and manufacturing companies across a wide range of industries. They deliver increased bottom-line profitability by reducing distribution center operating costs while increasing customer service levels. 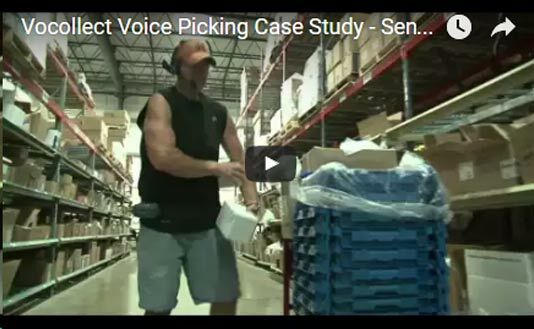 Unlike all other picking methodologies, a voice picking solution enables distribution center (DC) associates to work “hands-free and eyes-free” to execute their picking assignments. This results in the four key benefits described below. Voice picking eliminates the need for DC associates to take their eyes away from their picking task to interact with paper or the screen, keyboard and handle of a RF scanning device (electronic paper & pencil) when executing picking assignments. As a result of the increased focus of voice-directed associates, picking errors are typically reduced by 15% to 85%. Companies using voice picking typically report shipping accuracy rates of 99.9% with no checking or auditing. Voice picking systems provide simple verbal instructions to DC associates and do not allow them to proceed if they provide an incorrect response. Because voice is a natural form of human communication, systems are intuitive and easy to learn for new and temporary employees. And, because Vocollect Voice systems provide universal commands like “say again” and “help”, associates become productive and confident in just hours or days versus days or weeks as required for other methodologies. 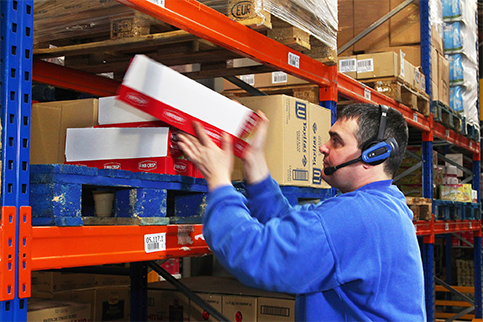 Voice picking systems enable DC associates to work with their "head up" and “eyes free”. Injuries that commonly result from associates traveling with their head down and eyes focused on a paper pick list or the screen and or keyboard of a RF scanning devices are thereby eliminated. Because associates are also “hands-free”, they are in no way compromised from picking, lifting and carrying items with proper and safe technique. 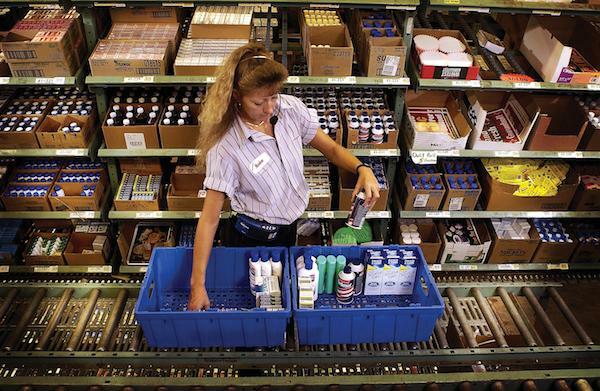 Seneca Medical, a medical products distributor, switched from paper to voice picking to reduce costs by improving productivity and eliminating the auditors required to previously maintain high levels of accuracy. They now save $ 1 million annually with faster, more efficient and highly accurate voice-directed picking. In some areas, they saw increases in productivity of over 50%. What some of our clients have said . . .
After moving from a paper-driven environment to a WMS with barcoding and RF scanning in 2009 - which won us ProSales Magazine’s 2011 Merit Award for Best Use of Technology by increasing productivity 34% while reducing errors by 75% - I began looking in 2013 for the next enhancement that would enable us to meet our commitment to continuous improvement. Vocollect’s VoiceLink solution provided by Speech-Interface Design was not only an obvious choice, but it has also far surpassed our expectations relative to its ability to return value to our organization by increasing productivity an additional 22.2% & increasing shipping accuracy to 99.92% which has differentiated us in the marketplace. After moving from a paper-driven environment to a WMS with barcoding and RF scanning in 2009 - which won us ProSales Magazine’s 2011 Merit Award for Best Use of Technology by increasing productivity 34% while reducing errors by 75% - I began looking in 2013 for the next enhancement that would enable us to meet our commitment to continuous improvement. Vocollect’s VoiceLink solution provided by Speech-Interface Design was not only an obvious choice, it has far surpassed our expectations relative to its ability to return value to our organization by increasing productivity an additional 22.2% & increasing shipping accuracy to 99.92% which has differentiated us in the marketplace. SID’s technical expertise was impressive.